Pret a Manger enforced happiness. Everyone loves that little neighborhood restaurant where it seems like the owner’s always on shift and the staff is super-friendly—especially to regulars and neighborhood people. That’s the stuff great communities are made of. There’s a reason soulless chains seem soulless in a way that’s off-putting. And yet, chains have a lot of advantages and there’s a reason so much dining happens at soulless chains even though people are put off by the soulless factor. That, I think, is the correct context in which to understand Pret a Manger’s efforts, as a matter of corporate policy, to ensure that all their far-flung staff act happy all the time. The problem is that when this becomes a matter of corporate policy enforced through stealth inspections with biweekly visits by undercover “mystery shoppers” it all seems incredibly creepy. There’s a fairly profound issue here, however. If you think about an increasingly mechanized, digitized, and roboticized economy, the case for human labor will increasingly be one of affect. And the affect economy is really everywhere. People go to yoga classes instead of watching streaming videos at home. Bartenders work for tips. Journalists are increasingly expected to “engage” with the audience through a variety of social media and put forth not just informative copy but an appealing persona. A real estate agent improves upon a computer search algorithm in part by offering a modulated emotional response that makes the client feel happier and more confident about the process. In all kinds of fields, people who intuitively “get” the considerable advantages of appropriate revenue-maximizing self-presentation will be advantaged. Normally you think, “OK, there’s a valuable job skill that not everybody has, so at some firms managers are teaching it to people—that’s good, that’s training.” But enforced-friendliness policies and mandatory personae seem like a violation of people’s integrity in a way that “operate the lathe this way, not that way” don’t. Worries about an economy in which robots displace human labor and everyone sits around unemployed watching The Real Housewives of Boise strike me as overblown. 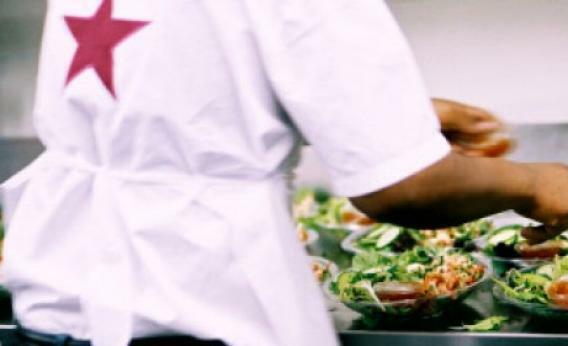 What you should worry about, instead, is the growing significance of the affect economy and the problems people will have with what Pret is trying to do here.